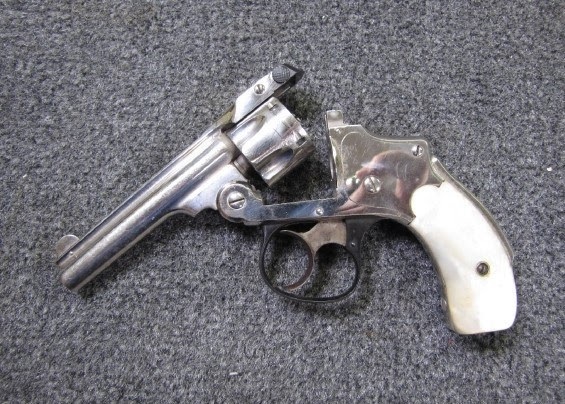 The Smith & Wesson .32 Safety Hammerless were top-break revolvers designed for fast reloading and were named "The New Departure". They were also nicknamed the "lemon squeezer" because of the grip mounted pressure sensitive safety. This is one I picked up recently in great shape and I believe it to be a factory refinish of the nickel plating. 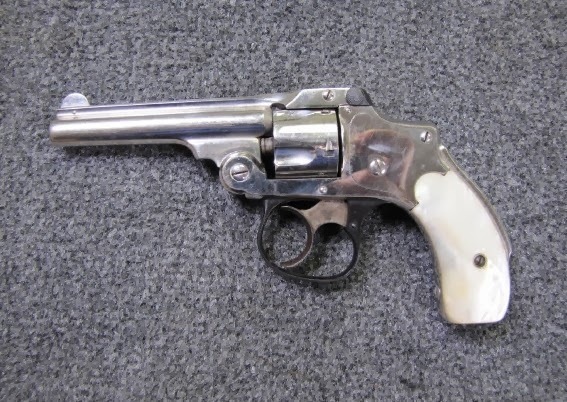 It has mother of pearl grips and a nickel finish. There is a small star after the serial number on the bottom of the grip, I am told this indicates a factory reconditioning. I won't know for certain until I write Mr. Roy Jinks at S&W for a factory letter.